Congratulations to BME senior William Broaddus who was named the winner of the American Choral Director’s Association-PA chapter’s 2015 Undergraduate Choral Conducting Competition. The competition was held in conjunction with the organization’s annual fall conference on October 30, 2015 at Susquehanna University. A conducting student of Christopher Kiver, William competed against choral conducting students from Temple University, Kutztown University, Indiana University of Pennsylvania, Messiah College, and Mansfield University. The competition choir was the Lower Dauphin High School Chamber Choir, under the direction of Penn State alumna Elizabeth Colpo. Originally from Lancaster, PA, William is a voice major in the studio of Richard Kennedy. 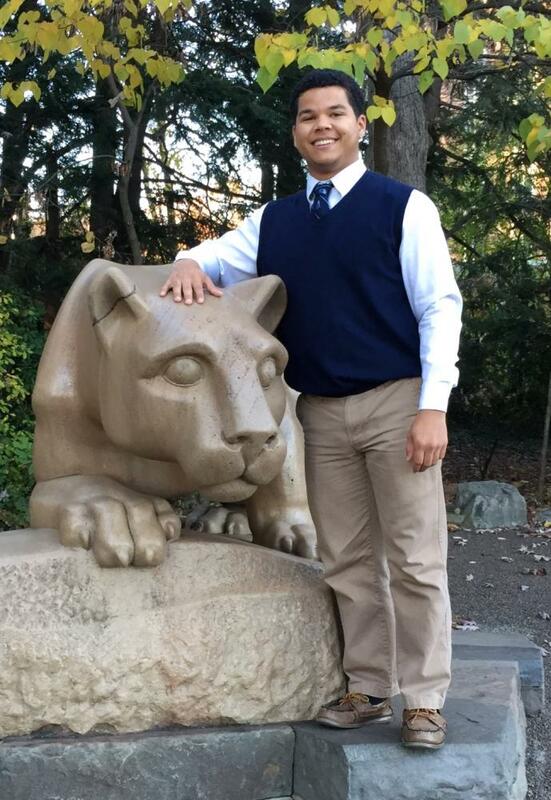 He is a member of the Schreyer Honors College, and is the recipient of the Penn State Glee Club’s Bruce Trinkley Award for Artistry and Service, as well as a Willa Taylor Undergraduate Choral Conducting Internship. He will student teach in the spring 2016 semester.